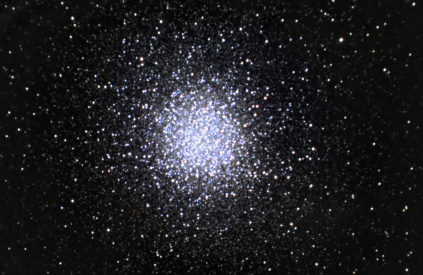 M13, LLLRGB picture, exposure time LUM=33*3min., R,G,B=7*3min. each. Dark, flat frame subtraction done on each sub-frame. Astronomik filters used (and additionally an IDAS LPS 2" filter also used). Taken with Meade LX200ACF 16", Optec NextGEN WideField 0.5X reducer and SBIG ST-8XME; 14. June-09.